Do Crane Flies Eat Mosquitoes? ​​Do Crane Flies Eat Mosquitoes? What may look like a mosquito hovering over the water at first glance, could just be the mosquito’s harmless cousin, the crane fly. Crane flies do resemble mosquitoes, however, there are many differences between these insects. 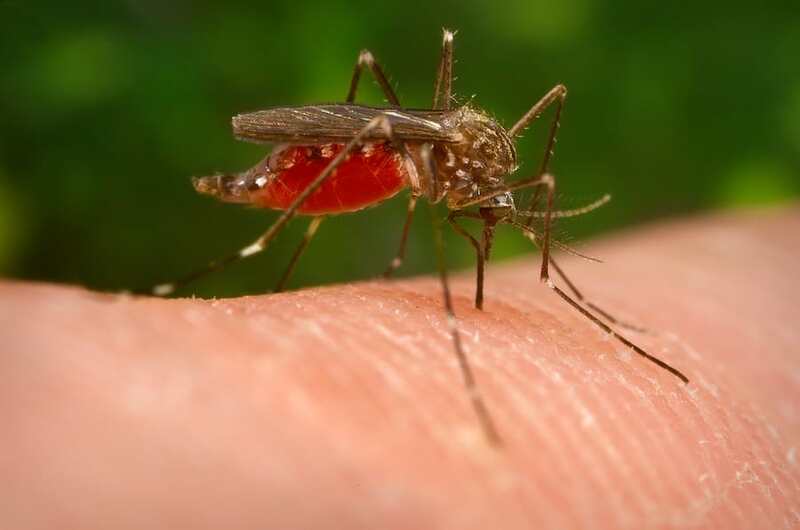 Two of the most important being that they do not bite humans nor do they spread diseases as mosquitoes do. If crane flies look like mosquitoes, but don’t bite us, then what do they eat? Mosquitoes? Read on to find out more about crane flies, what they look like, and most importantly, what they like to eat. What Does a Crane Fly Look Like? What Do Crane Flies Eat? Crane flies are insects from the Tipulidae family and are usually seen around water or among large amounts of vegetation. These bugs are found all over the world, and are commonly known as ‘mosquito hawks’ or ‘daddy long legs.’ Crane fly populations flourish in tropical climates around the globe, as well as in areas of high elevation and northern latitudes. The most widely known and recognized crane fly in America is the range crane fly. This insect lays its eggs in damp areas. Crane fly eggs take the form of long and hardy larvae soon after they have been laid. Adult crane flies have a short lifespan—only living for 10 to 15 days. The majority of a crane fly’s life is actually spent in larva form. The eggs hatch around 10–14 days after they have been laid. The larvae then emerge and can remain in this phase for several months, usually over winter. In late spring, the larva will pupate and soon transforms into an adult crane fly. Because adult crane flies only survive for a few days, they will mate as quickly as possible after hatching. While crane flies may look similar to mosquitoes, they have very little in common, other than appearance. These bugs do not sting or bite humans or animals, as they are physically incapable of doing so. The crane fly’s lack of ability to bite and feed on blood also means that it also cannot and does not spread diseases. There’s still a great deal about the life cycle and patterns of crane flies that we do not know. We have only very limited knowledge about their mating routines, their vision, and how they communicate. However, much of the information we do know is thanks to U.S. entomologist, Charles Paul Alexander, who studied these creatures over his career. Crane flies can resemble a very large mosquito. They typically have a small, thin body with long and thin, stilt-like legs. Their legs are very fragile and can easily come off their body. The average wingspan of a crane fly is between half an inch and two and a half inches wide. There are also some larger species of crane fly, with wingspans that can reach up to a whopping four inches. Crane flies are typically yellow, gray or brown in color, and have a v-shaped structure on the back of their bodies. Crane fly larvae are long and cylindrical in shape, with a slight taper towards one end. They have a hard brown or black exterior and are commonly known as “leatherjackets,” as a reflection of this appearance. The abdomen of crane fly larvae can either be lined with hair, smooth, or have small studs or welts on it. Crane flies only eat when they’re in the larval phase of their life. Their larvae are most commonly laid in moist or damp areas, particularly in soil. Once the larva hatches, it will begin to feed on a variety of different things within its surroundings. Some species of crane fly are carnivorous and will feed on small creatures in the soil. However, most crane fly larvae feed on decaying or dead plants. Crane fly larvae can also feed on the roots of cereal and grass crops, which is a potentially huge problem for farmers, especially if the population increases out of control. Crane fly larvae can also be destructive in your own back garden. If you have an infestation of leatherjackets in your garden, you may find your plants turning yellow or brown. This is because the larvae are feeding on, and damaging, the roots of your plants. Within a controlled population, crane fly larvae are very important to the ecosystem of the soil. Crane flies are particularly efficient when it comes to processing dead organic material. The larvae also help to increase microbial activity within the soil. The larvae feed throughout the winter until the spring, where they enter a resting stage before hatching into adult crane flies. However, once a crane fly reaches adulthood, it doesn’t need food as it has a very short lifespan. If an adult crane fly does eat, it will most likely feed on some pollen or plant nectar. Generally speaking, the short answer is no, crane flies do not eat any type of mosquito, like many other animals do. As crane flies only eat during their larval stage of life, they will only eat what is available in the area where they hatched. With that said, crane fly larvae may eat mosquito larvae, if it’s accessible. Both of these creatures lay their eggs on water or in damp, moist places. Therefore, there is a high possibility that crane flies and mosquitoes could lay their eggs within close proximity of each other. However, mosquito larvae would not be the most common food for crane fly larvae. They tend to feed mostly on decaying organic matter, or plants, particularly the roots. When a crane fly has hatched into adulthood it doesn’t eat much, if anything at all. You can now see that, at any stage of the crane fly’s life, it’s unlikely that they will eat mosquitoes. Crane flies do not live to eat, like mosquitoes. As they only survive for a few days in their adult form, they have a bigger priority to mate, rather than eat, before they die.